Hello Friends, I did mention to you there would be an imminent giveaway, and well, the giveaway is HERE, TODAY! 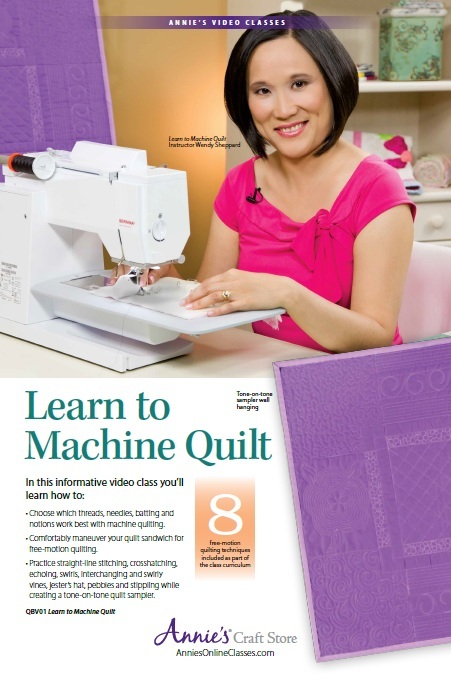 :) Annie’s is sponsoring the giveaway of a copy of my Machine Quilting Level 2 online class. 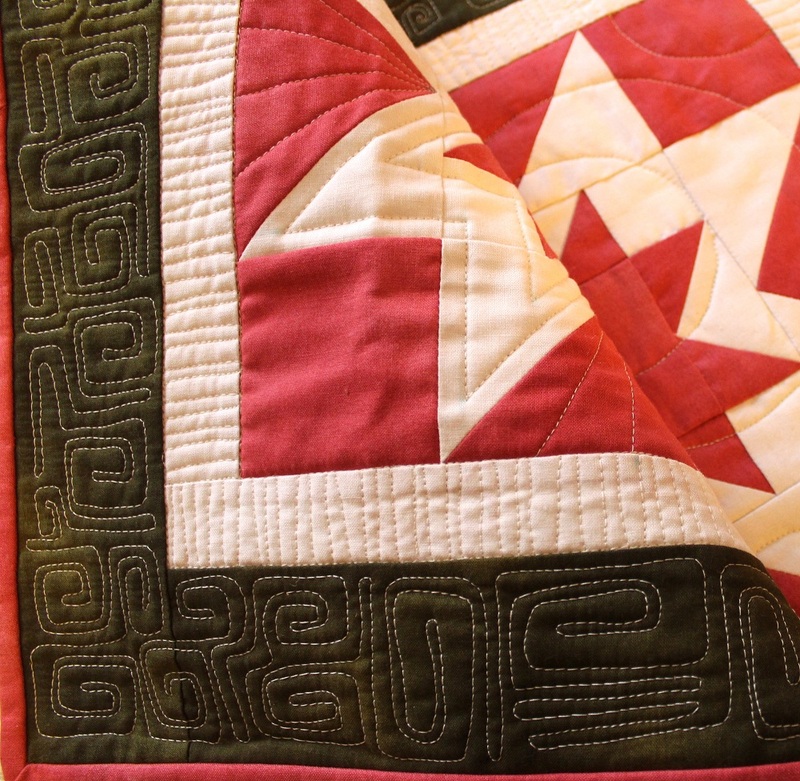 This free-motion quilting class covers slightly more involved quilting motifs (compared to the ones in my Learn to Machine Quilt class) by working on this class project, and quilted using a domestic sewing machine. 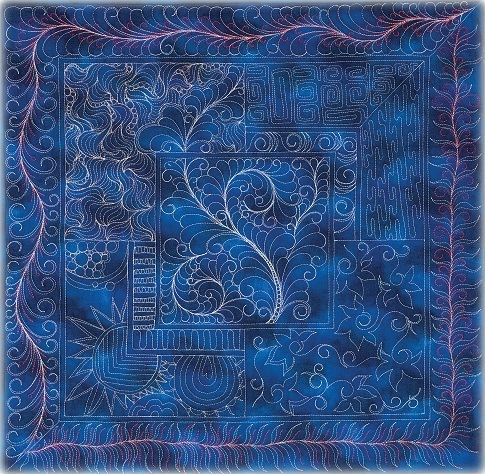 I will be stitching along with you ALL the motifs you see in the pictures of the class project below. Due to time constraint, sometimes I would just let you finish out a section and move on to the next motifs. BUT, I will get you started. The class is yours to keep once you win it – you may access the class anytime you wish! You will also get a chance to interact with me should you have any questions. 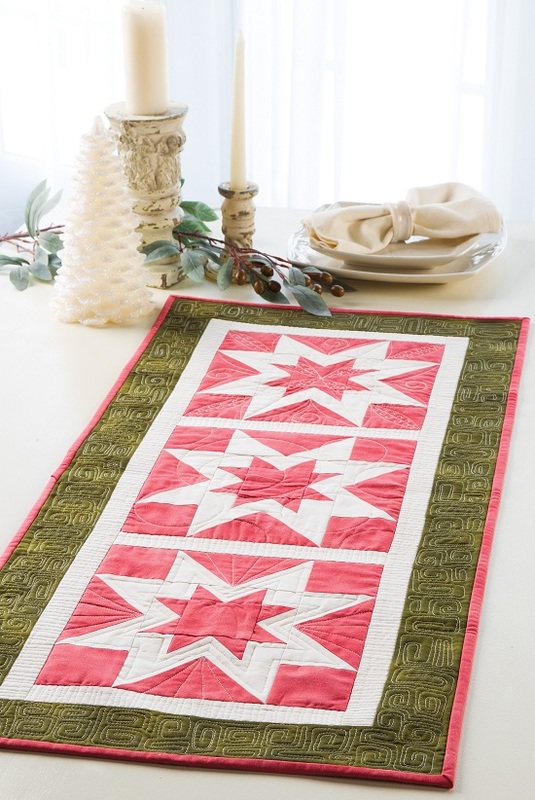 After completing in the class project, you will have a chance to make 3 additional projects (instructions included in the class) that will give you a chance to quilt the motifs you learn from the class project on the additional projects. 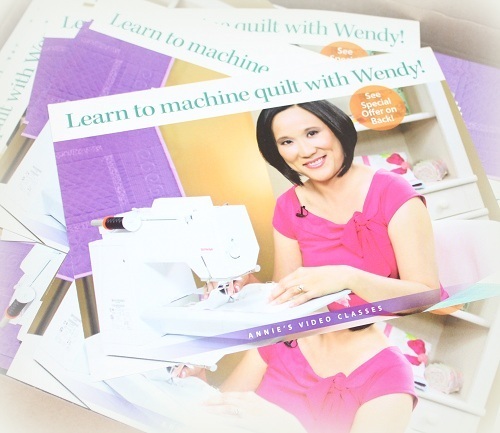 Awwwww – THANKS… I am made the happiest of quilters with the feedback! 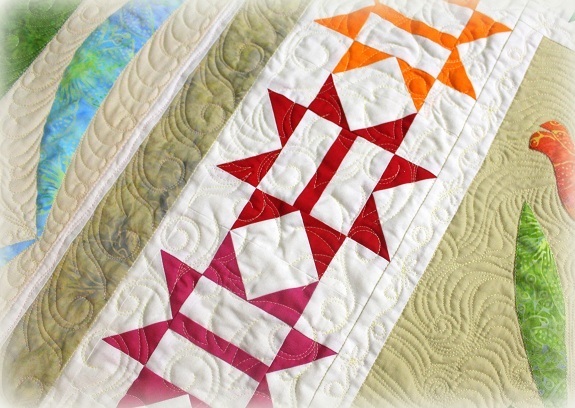 In order to enter to win the prize: Just leave a comment or about what you look for in an online quilting class between now and next Thursday (January 14, 2016). Winner will be announced and contact on the following Monday! 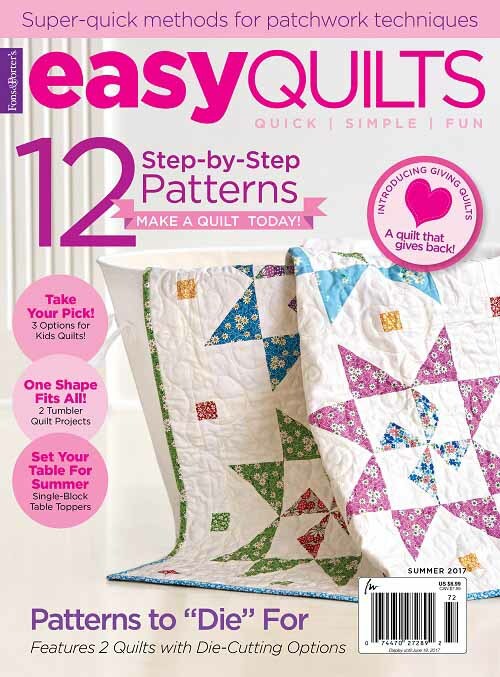 Open to international quilters! And that’s if from me for today. I am running late this week, and desperate need to get something solid accomplish before the weekend. School started this week, and we had a slightly rocky start. First, Miss Baby had so much fun during her Christmas break she was most un-enthusiastic to go back to school. So, I made her favorite cinnamon raisin break on the first day of school as a “pick me up”, only to realize an hour before she woke I had forgotten to add the yeast!!! Then, we found out she forgot her lunch box after we got to school that first day. So, Mom had to make a second trip back to school to deliver the lunch box. And then, I have been doing house-keeping stuff for work to move and hopefully “propel” me to productivity. Thanks for stopping by! Hugs to you all! 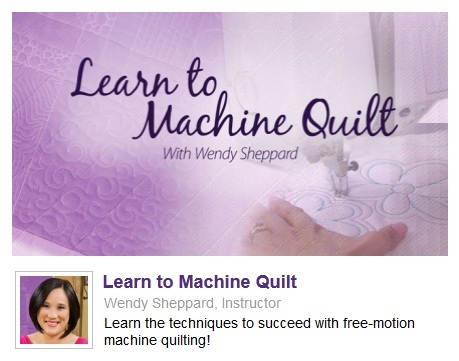 Now, I can finally share with you there IS a follow-up class! 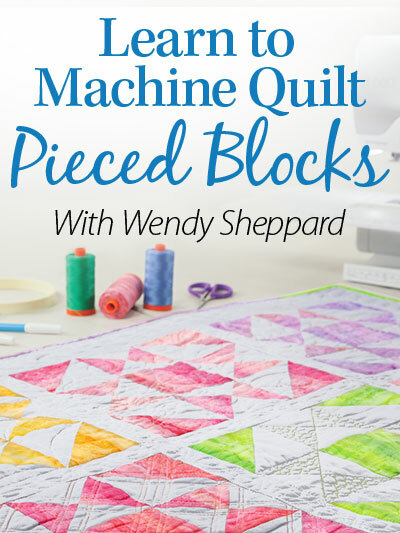 But before that, please allow me to take the opportunity to announce the winner of my most recent Learn to Machine Quilt giveaway! The winner is #85: dandish074 — an email is sent to you! 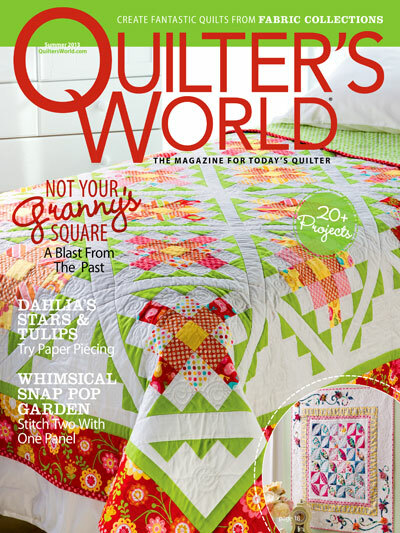 :) Congrats and Happy Quilting. 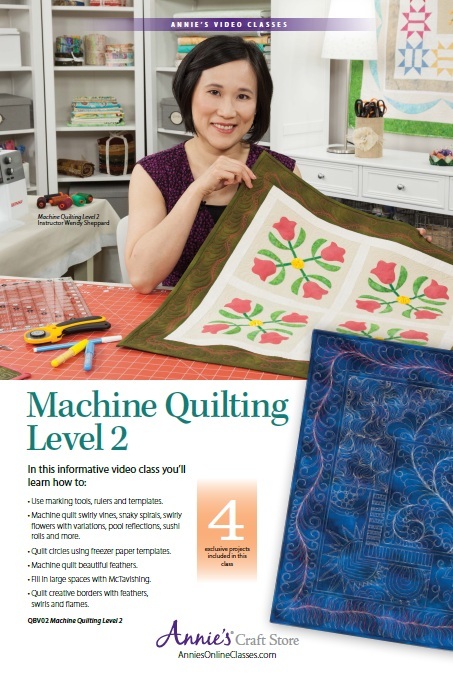 Without further delay… please allow me to introduce to you Machine Quilting Level 2! 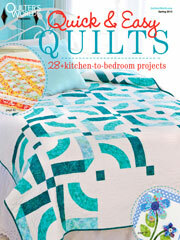 In this class, you will get to see a bit of show-and-tell of my existing quilts for inspiration. 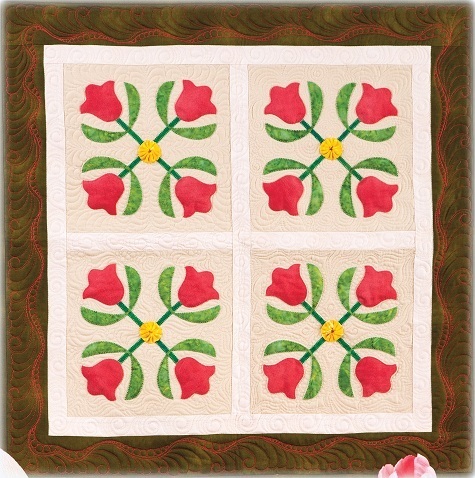 Then, we will explore more quilting motifs by making this class sample by stitching EVERYTHING you see on the sample! and what do you know…? We will finally get to touch on FEATHER QUILTING! 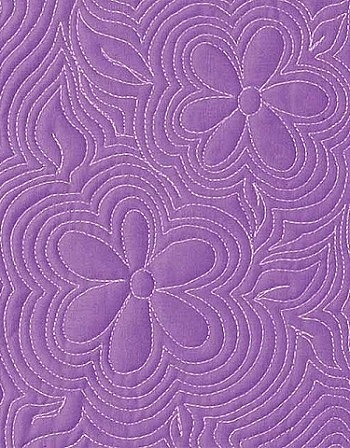 Many many of you have written to ask about a feather quilting class. 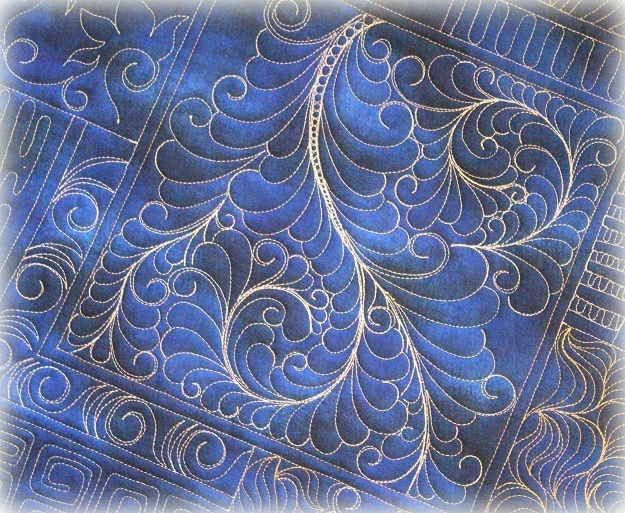 While this class isn’t exclusively on feather quilting, we will at least get you started on your own feathering journey! The online class is yours to keep once you purchase it, and you may view the class as often as you wish, anytime you wish. The class material comes with diagrams showing stitching paths of the motifs, as well as instructions to make 3 additional (!) 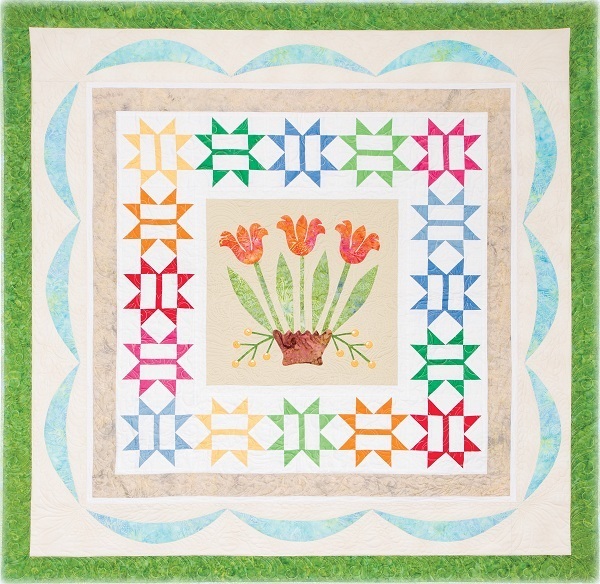 exclusive projects, including an applique and pieced medallion quilt that I had nicknamed the WOW project for the class. 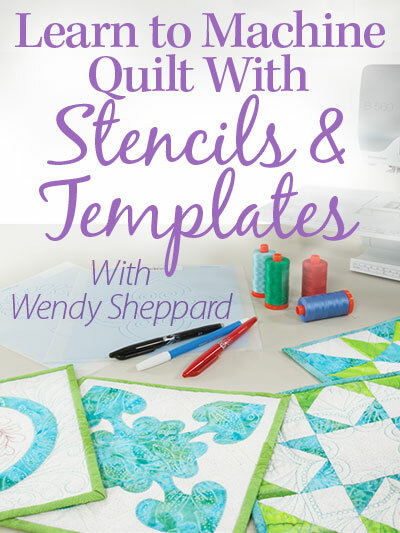 You will get to see close-up on how I have quilted each project to give you an idea how you might want to quilt those projects and make your own masterpieces! 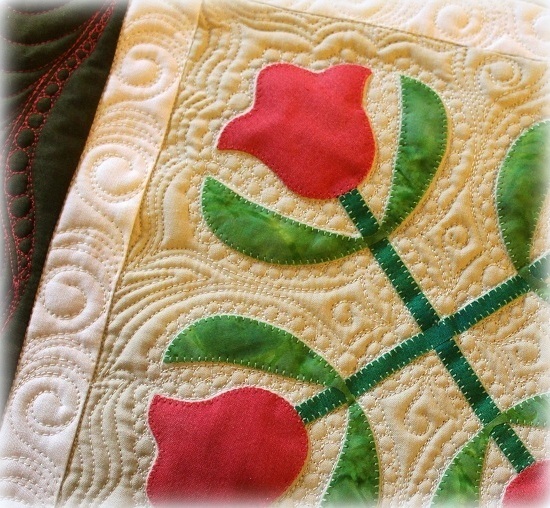 I will have more close-up pictures of the quilting on each project to share with you in the near future. So stay tuned. Meanwhile, Annie’s is running a 3-day discount special for the launching of the class. Between now through April 4, 2015, you will get a 20% discount if you sign up for the online streaming class! Enter keycode: EADMACH. Thank you for stopping by. 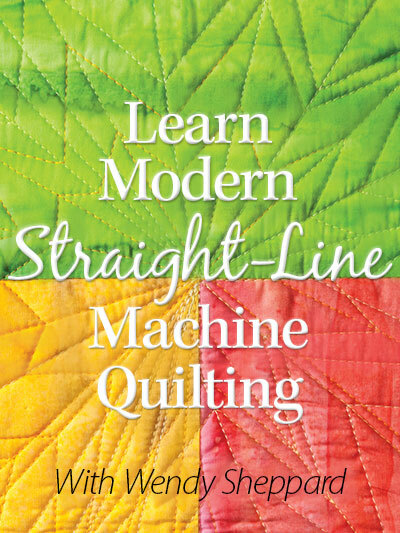 And I do hope that you will let me be your quilting buddy by signing up for Machine Quilting Level 2 class, or Learn to Machine Quilt if you are just now starting to dabble in domestic machine quilting. Let me hear from you, Dear Friends. I hope you have a lovely rest of your week. I’d better run, there are still things to be checked of on my mile-long list. :) Love you all! p.s. 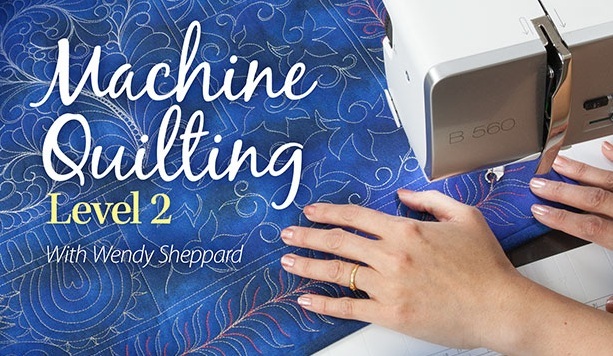 If you would like to receive my machine quilting class postcards (with $5 off coupon, and both classes) for any of your guild events and gatherings and meetings, please email me! I can arrange and have them sent directly to you. I know they are going out to groups that have requested them.